Born Bernadine Mae Brown on December 31, 1928 near Tomah, Wisconsin, daughter of Lee Orvil Brown and Elsie Martina Ahlin Brown. Bernadine dedicated herself to her family. She married her college sweetheart, Joseph Koomar, on August 5, 1950 in Macomb, IL. Together, they raised eight children, spending most of those child-rearing years in Peotone, IL. She is survived by her children, Michael Koomar of Kankakee, IL, Jo Anne (Buddy) Hege of Charlotte, NC, John (Kim) Koomar of Cedar Rapids, IA, Mary (Tony Pawloski) of St. Louis, MO, Steven (Martha) Koomar of Summit, NJ, Robert Koomar of Tucson, AZ, Jim (Libby) Koomar of Baraboo, WI, and Julie (Steve Gengler) of Bourbonnais, IL. Also surviving are seventeen grandchildren and eight great grandchildren. Her husband, her parents, and her sisters Barbara Cox and Donna June Brown preceded her in death. Bernadine was valedictorian at Alexis High School, which provided a scholarship and gave her the opportunity to attend college. She earned a Bachelor’s degree in English Education from Western Illinois State College in Macomb, Illinois. She was a member and founding president of the Alpha Epsilon chapter of Alpha Sigma Tau sorority. She worked as a schoolteacher in Grundy and Kankakee Counties, also serving as Principal at Mazon Grade School. Bernadine was active in the Peotone community. She joined St. Paul the Apostle Catholic Church where she served as a member and president of the Council of Catholic Women. She served as a Board Member for the Peotone Community School District. She also volunteered at Eastern Will County Senior Services and served on the governing board for that organization. Eventually Bernadine moved to Manteno, where she joined St. Joseph’s Catholic Church. 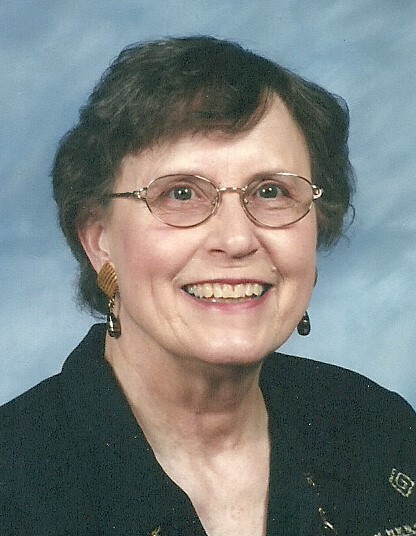 She kindled many friendships in her Manteno neighborhood, often chatting with neighbors while taking her daily walks. Bernadine resided at Heritage Village in Kankakee in her final years. Bernadine enjoyed playing bridge and golf, reading and spending time with family. Although her children fanned out across the country, she never missed sending a birthday wish to her beloved children and grandchildren. Bernadine also found great joy in music, especially in her later years. Visitation will be held at the Fedde-Helfrich-Cross Funeral Home on Friday, April 5 from 4:00 p.m.-8:00 p.m. The will also be visitation at St. Paul the Apostle Catholic Church in Peotone on Saturday, April 6 from 10:00 a.m.-11:00 a.m. A Mass of Christian Burial will be held at 11:00 a.m., Father John Regan and Father Roger Kutzner officiating. Burial will take place at Peotone Cemetery. In lieu of flowers, the family requests donations to the Koomar Scholarship Fund, 800 Parkside Ave., Baraboo, WI 53913. The fund awards an annual scholarship to graduating seniors of Peotone High School.